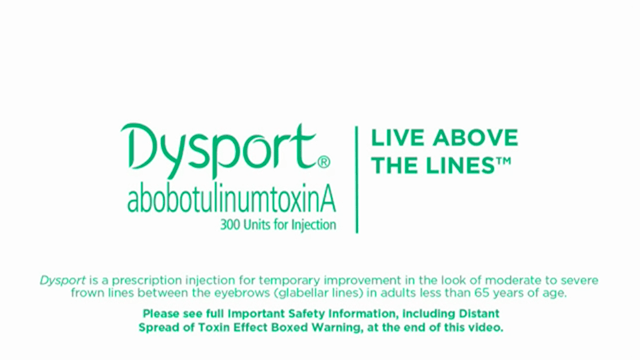 Stand up to the line with Dysport® (abobotulinumtoxinA) for Injection, a prescription for temporary improvement in the look of moderate to severe frown lines between the eyebrows (glabellar lines) in adults less than 65 years of age. It's time to make your move & be proud to be you. See how Dysport can help. Why do 97% of Dysport users say they'd use it again? 1*†‡ The results speak for themselves. Look through our gallery to see how Dysport has smoothed moderate to severe frown lines between the eyebrows for men and women. †Study Design: Multicenter, prospective, non-interventional observational study conducted in France, Germany, Spain and the United Kingdom (n=533). 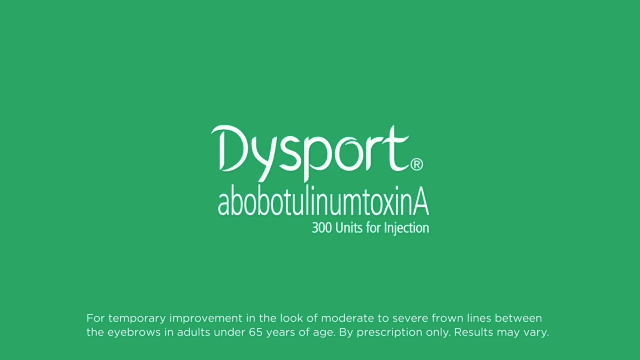 Subjects were eligible if the investigator had decided to prescribe Dysport according to the labeling. Subjects completed questionnaires at 3 weeks and 4 months after treatment. Instead of giving you the "frozen look," Dysport temporarily treats the facial muscles in just the area you want — between the eyebrows. 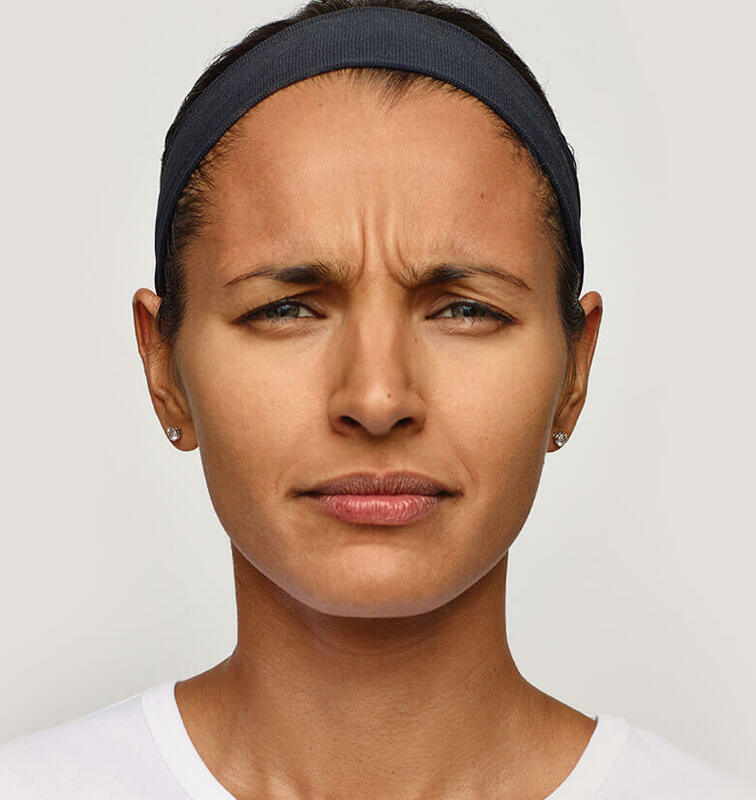 With Dysport, it’s the frown lines between the eyebrows that are minimized, not your expressions. And that's certainly something to smile about. Actual patient. Results unretouched. Individual results may vary. 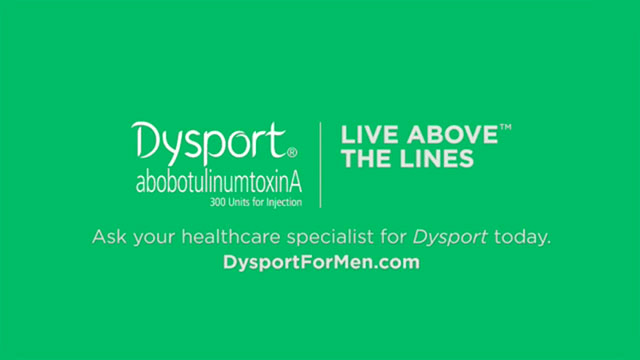 Men’s use of treatments like Dysport has grown four times from 2000 to 2014.3 So, when between-the-brow frown lines make you look tired, angry, or older, choose Dysport. Join ASPIRE Galderma Rewards and treat yourself to an exclusive experience that will help you on your aesthetic journey. Earn points toward treatment certificates by taking bonus quizzes, participating in surveys or referring friends. 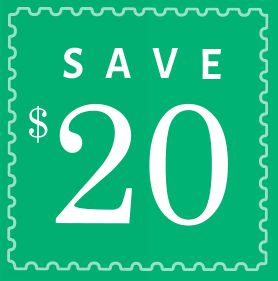 It's easy to join and easy to enjoy – sign up today, and you'll recieve a $20 treatment certificate. Want to know what else Galderma aesthetic treatments can do for you? Visit our brand pages below. Real time data, Real Self website. 2014 Plastic Surgery Statistics Report: ASPS National Clearinghouse of Plastic Surgery Procedural Statistics. Arlington Heights, IL: American Society of Plastic Surgeons; 2015.